Jennifer gave a great rundown of things for you, Thanks Jennifer! Like Robin, I have also had good success performing queenless splits, where the queenless bees create emergency queen cells using normal brood cells from larvae of an appropriate age as determined by the queenless hive. The two queens I have reared in this way both returned from their mating flights and did a great job with nice laying patterns. Emergency cells can produce viable queens, as I have observed, and it is the natural (meaning evolutionarily devised) method bees use to handle an injured or missing queen. There is the potential of getting a smaller queens out of emergency cells since they didn’t start out intended for a queen. In some circumstances, once an emergency queen returns mated, the hive will choose to perform a supercedure to replace her if they deem she is not fit for the job, with a queen emerged from a supercedure cell purpose built for raising a queen (sorry I don’t have a reference handy for this statement, pretty sure it came out of either the Crowder and Harrell “Top bar beekeeping” or “The Beekeeper’s Handbook” by Diana Sammataro and Alphonse Avitabile. At the ‘Born and Bred’ workshop last weekend, (put on by the NCSBA) I was impressed to hear how many of the speakers repeated this theme, in multiple ways, that we need to encourage stronger, regional genetics and get away from keeping bees on life support with treatments and imported queens from different regions. Several of the speakers also went on to say in a nutshell that, the more we work _with_ the natural process bees use to perpetuate themselves, not only will our job be a lot easier, but we’ll wind up with healthier, regionally robust genetic stock which can including natural varroa resistance! 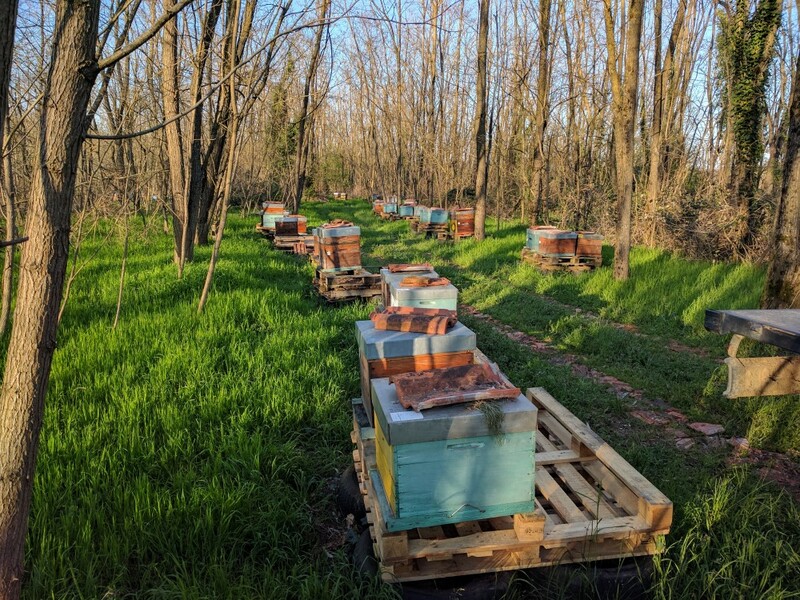 Hives not resistant to varroa that die can no longer spread their weak genetics–sad for the hive, good for the species (this is why I have no problem with ‘bee havers’ or ‘ornament hives’–natural selection dictates they will ultimately die, OR benefit the species by spreading healthy genetics). How can you tell if your bees are naturally resistant? If you treat without careful monitoring, you can’t. If your varroa population only increases a few percent in the lat summer and levels off, ‘winner winner chicken dinner’ you’ve got a queen with varroa resistant characteristics! But this is something you won’t know if you chemically treat your bees at the first sign of increase in varroa numbers. 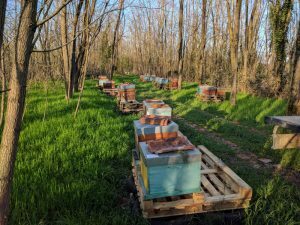 Now if you’re varroa % in the hive increases substantially above baseline in the fall with no indication of leveling off, you’re going to need to take action by some form of management and re-queening if you don’t want to lose those bees. This doesn’t mean you have to chemically treat, you can make the hive queen-less until all your brood have hatched to break the varroa reproductive cycle before re-queening. Or, if you’re ok using toxic chemicals on your bees (and yourself) you can treat the hive to kill the mites and then re-queen. What is really important regardless of your management choice, is to re-queen–preferably with a hygienic queen of local stock. Why re-queen if you’ve treated the bees to kill the mites? 1). Because you don’t want the weak genetics of your non-varroa resistant hive spreading via drones to your neighbor’s apiaries, weakening the genetics of the entire region. 2). no ‘treatment’ is 100% and the mites that survive are the strongest of the bunch. Soft or hard chemical, all treatments push the evolution of mites to a stronger condition. Introduced species represent a challenge best resolved though natural selection. 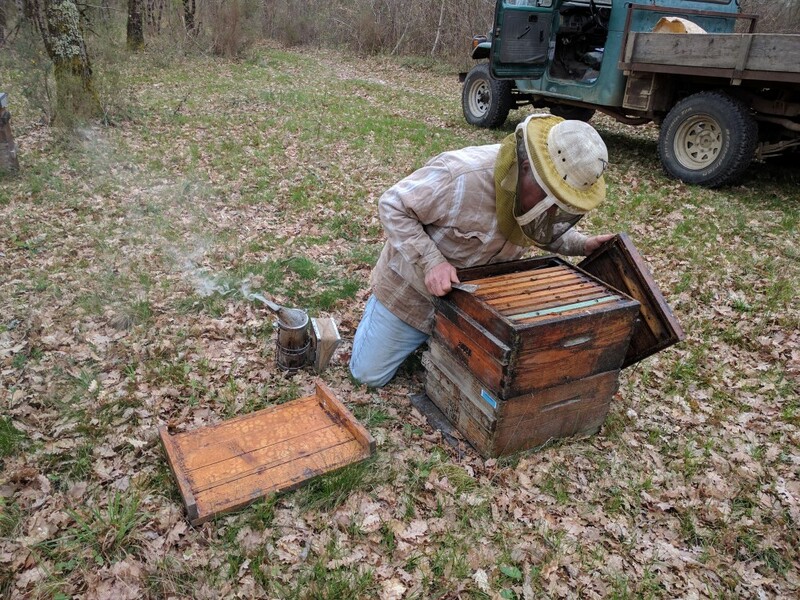 Unlike huge commercial beekeepers who admit openly that they don’t have time to monitor their colonies, we as smaller beekeeping operations can substantially improve the genetics of the species by pushing evolution in the right direction through management practices that include re-queening when we don’t have a varroa resistant queen. Hope all this helps and good luck for the summer. 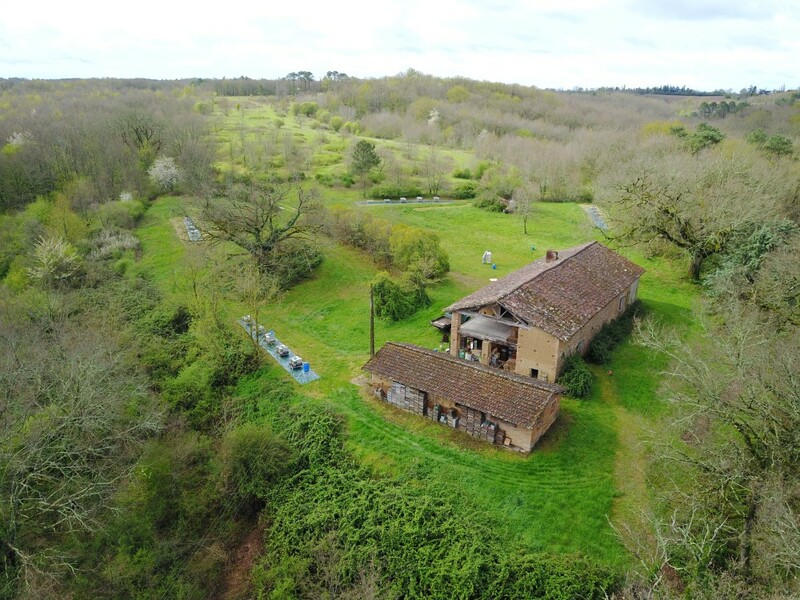 In March 2017, I spent two weeks working with two separate ‘apiculteur’ operations in the South of France, a large honey producer operated by Victor Kohut and a queen rearing operation manned by Dr. John Kefuss. I had heard about ‘breeding bees resistant to Varroa’ and thought, ‘I really need to learn this new thing…’ Turns out breeding bees for Varroa resistance is anything but new, and the more articles and papers Kefuss pushed across the table for me to read late in the evenings after long days of setting up hives with elaborate custom feeding systems, inspecting colonies, and grafting varroa resistant queens, the more I realized that not only was selecting for disease and mite resistance NOT a new thing, but that people had been having success with it for decades and for some maladies, more than a century! Turns out creating varroa resistant queens is a lot easier than you might think, doesn’t need an isolated breeding yard, and if performed on a club level, can improve the genetics of the entire region. Also, it’s not necessary to be as extreme as killing off the entire colony. Careful monitoring and some form of treatment to knock down the mites followed by immediate queen replacement (with a VSH, resistant, or local queen) will get the region on track to nudge evolution in the right direction. The key is to carefully monitor for resistance, re-queen hives that are unable to maintain a low population on their own, and when you get a hive resistant to disease and mites, don’t crush your swarm cells, rather share them with your local club and make sure there’s drone comb in the hive to help spread their genetics! If everyone adopts these common sense practices, we’ll no longer need to expose ourselves or the environment to dangerous chemicals by propping up weak bee populations with chemical ‘life support’. We’ll stop producing supermites that out evolve our ability to come up with the next new treatment band aid, and help the honey bee return to a level of genetic strength and diversity that will allow it to better cope with current and future challenges! One of Victor’s many ‘ruchers’ or out yards. In response to Rusty’s recent varroa mite post (her comment form apparently didn’t like the references included in my reply so I posted it here and sent her a link). Maybe not ‘let mites be mites’ but perhaps ‘let bees be bees’…? Initially I skimmed your post and though ‘oh dear, another ‘you must treat’ preachy post’, but I see from reading through your responses to comments that you also carefully monitor your colonies and only treat those that need it to survive. And now he simply doesn’t have a problem with mites, and has done quite well selling mite resistant queens in Europe, with proven breeder queens going for more than $600…he even published a paper supporting his findings and made it open source for everyone to read (http://www.tandfonline.com/doi/full/10.1080/00218839.2016.1160709) and there’s plenty more evidence supporting natural selection as the way to resolve the ‘bee crisis’ (http://onlinelibrary.wiley.com/doi/10.1111/eva.12448/full). One point he’s made clearly is that, as local backyard bee keepers, we can influence the genetics of regional stock simply by making sure the good genetics get out there while at the same time minimizing the spread of genetics that don’t cope well with mites–in essence, giving natural selection a little nudge in the right direction. We can do this by encouraging drone production in our strongest, most mite resistant colonies, and re-queening colonies that don’t show natural mite resistance with resistant queens. I’ve recently read a lot of opinions stating that ‘breeding programs are too complex and don’t work in open conditions,’ and I have to disagree. As an introduced species, Varroa Mites are clearly a problem, but it seems extremely unlikely that we will resolve a genetic problem with a chemical treatment–which may actually be making the mite problem worse–regardless of our good intentions. Apis Cerana co-evolved with the mite, and knows how to maintain low mite levels. 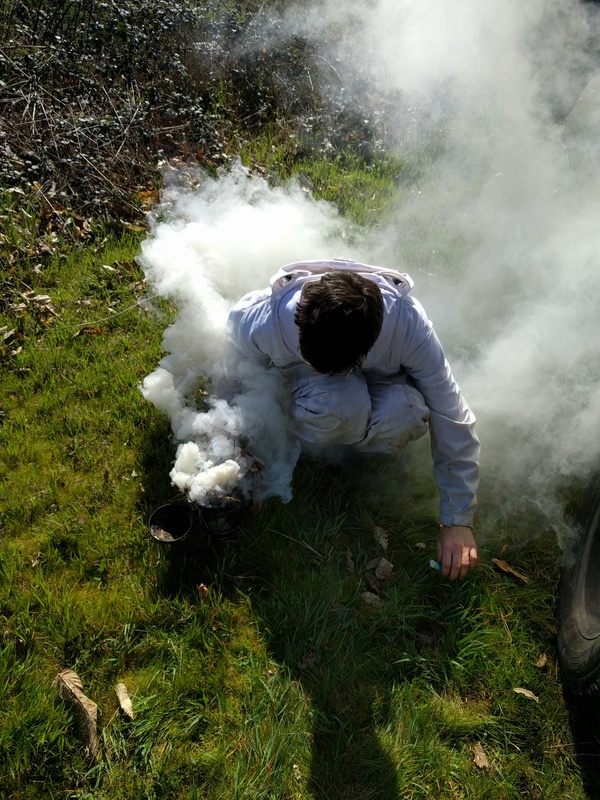 Apis Melifera can (and is) doing the same in diverse geographic regions (both hot and cold) around the globe, and not only in apiaries secluded away from all other bee-keeping operations or feral stock (http://www.resistantbees.com/krise_e.html). I, at times, get frustrated when folks fail to mention that chemical treatments remove the environmental pressure required for bees to naturally evolve, and perhaps more importantly creates selective pressure which drives the evolution of mites more rapidly to a stronger condition (which they can do much faster than Apis melifera with their 10 day reproductive cycle!). So while I agree with you that breeding operations designed to encourage a specific trait are complicated and need isolation, I don’t believe that it’s impossible for local bee clubs to simply start a queen sharing program, where each active member encourages drone production, and grafts or saves queen cells to share, from their strongest, naturally mite resistant hives, therefore improving the genetics of the entire region. This will of course take time, and an important component is to minimize the spread of genetics from hives that don’t show natural mite resistance. Yes, individuals with ‘hives as yard ornaments’ are a problem for the spread of mites through horizontal transmission by robbing of weak colonies or drone migration. However, I believe individuals who blindly treat their colonies may actually be doing an even bigger disservice to bee keepers and the natural evolution of mite resistant honey bees by allowing the spread of weak genes from drones in colonies which would otherwise not be able to survive on their own, without treatment. At least the yard ornament hives won’t have the chance to spread weak genes as they will die out on their own, and if you ask Dr. Kefuss, I expect he’ll tell you that the more mites we have in the region, the faster we’ll see the evolution of mite resistant, feral colonies, which will in turn share their stronger genetics with our open mated queens, in essence creating ‘varroa black holes’ where mites imported by the infested colonies are absorbed and destroyed by mite resistant, feral colonies in the region. 1. Monitor your mite levels carefully (at least monthly). 3. Encourage drone production in strong colonies that show natural mite resistance (they are out there!). As mentioned in Coombs letter, resistance to many honey bee ailments has been achieved decades ago through a combination of breeding and natural selection–from tracheal mites, to even American Foul Brood! If we all work together to nudge natural selection in the right direction, I believe we will one day be able to look back on the Varroa mite problem as something in the past, just as we can now, for the most part, about tracheal mites. But if we continue to ‘prop up’ weak colonies with chemical treatments, allowing those genetics into the wild, we do more of a disservice to honey bee evolution than even the abandoned ‘yard ornament’ colonies, which ultimately will push the species to a stronger condition by spreading mites and eliminating colonies that can’t survive in a world full of varroa. Simply put, evolution works if we allow it to. Thanks Rusty, for all you do for the bee keeping community, and for allowing comments to your posts so that we can all learn more through the process of openly shared ideas and information. Samples are accepted from the United States and its territories; samples are NOT accepted from other countries. To the best of my knowledge these bees died in early January 2017. Several cups of bees were dead on the bottom of the hive and a few lethargic live bees were on the comb which are included in this sample. They had plenty of honey in the hive. Thank-you for your lab analysis.